I’m a Celebrity…Get Me Some Hypnotherapy! 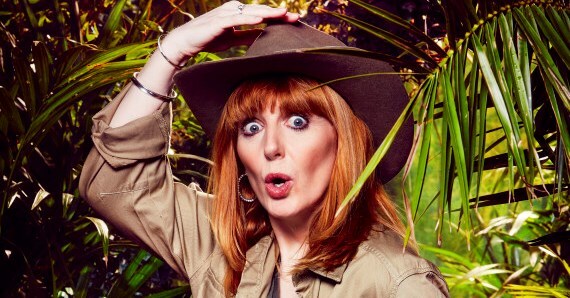 Yvette Fielding, the former ‘Blue Peter’ and ‘Most Haunted’ presenter, has given herself an extra edge over her camp-mates in this year’s “I’m A Celebrity…Get Me Out of Here!” reality show on ITV, according to Huffington Post. “I have been practising with rice! I have been pretending the rice is a maggot and throwing it to the back of my mouth without actually tasting it. Hypnosis, used like this, in its most basic form can help people overcome their nervousness of certain situations; cope with a dislike of particular creatures or creepy-crawlies; feel more confident in dealing with unpleasant tasks for example. However, if that nervousness is more akin to anxiety or the dislike increases to an actual fear or even phobia, then such ‘positive nudges’ are likely to be ineffective and proper treatment from a qualified hypnotherapist would be required. Sometimes a plaster is all that is required – for a paper cut, for example. But sometimes the wound requires more extensive medical intervention that is specifically tailored to remedy the individual injury. Many people with phobias of various kinds are reluctant to seek help as they have only heard of therapies which force the sufferer to confront their fears – something they, very understandably, are too terrified to contemplate. CBT or traditional hypnotherapy like this can provide benefits but more modern techniques now exist which do not involve such horrors. Lesserian Curative Hypnotherapy, for example is a comfortable and enjoyable process from start to finish, correcting the subconscious need for the phobia or anxiety without the client having to imagine or experience the subject of the fear at any time. To find out more about LCH treatment and how it could help, contact your nearest licensed LCH practitioner.